YOUR SEARCH IS OVER!! 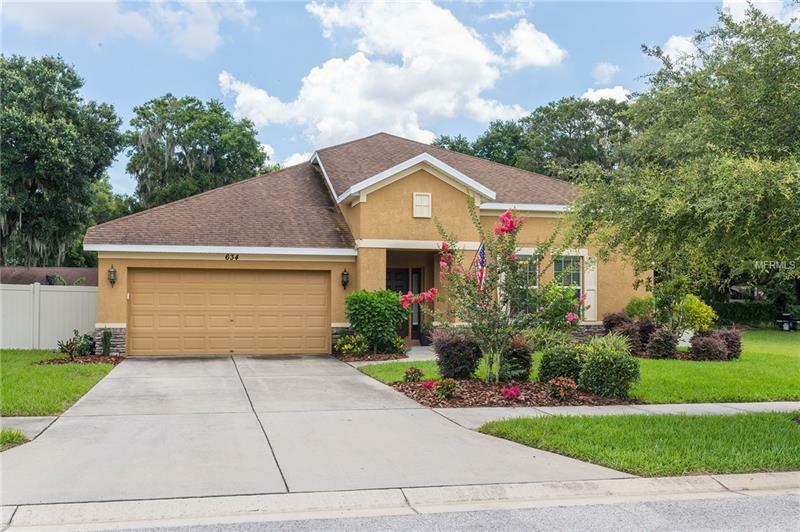 You don’t want to miss the RARE OPPORTUNITY to one of the few homes located in the desirable GATED COMMUNITY of “Estates at Limona Woods, ” in Brandon!! This home is immaculate and features 4 bedrooms, 3 bathrooms, HUGE BONUS ROOM and a DECKED OUT CUSTOM POOL & SPA with a covered sitting area!! Arriving at the property you immediately feel the pride of ownership ~ curb appeal and landscaping perfectly in place! As you enter the home you have a spacious foyer with staggered tiles greet your friends and family*** Oversized dining room has ***EFFICIENCY WINDOWS*** letting in an abundance of natural light*** This floor plan is perfect for gatherings and entertaining. Large wide open family room and dinette is open to kitchen and has sliders that lead to the pavered pool area. Kitchen has 42” hardwood cabinets with tons of storage, ***GRANITE COUNTERTOPS*** custom light over the kitchen island, a breakfast bar and ***STAINLESS STEEL APPLIANCES. ***SPACIOUS master bedroom with a large walk-in closet, ***DUAL SINKS, *** garden tub and large walk-in shower. ***HUGE BONUS/FLEX ROOM*** on the second floor with fourth bedroom and third full bath - perfect for guests, in-law suite or teen suite! You’re going to love the pavered pool deck with SALTWATER POOL & SPA that is less than 2 years old with a TOP OF THE LINE HEATER and can be controlled by REMOTE!! The PATIO also has CUSTOM MADE BENCHES for additional seating/entertaining. ***FOAM INSULATION & INSULATED WINDOWS*** keep your electric bills MANAGEABLE! Inside utility room with sink. **A rated Elementary School **Easy access to Highway 60 in Brandon for shopping, Westfield Mall, restaurants, and entertainment **Less than 30 minute drive to Down Town Tampa **Less then an hour to the amusement parks of Orlando **45 minutes to some of the best beaches in the country **Pride in Ownership!! **What are you waiting for?